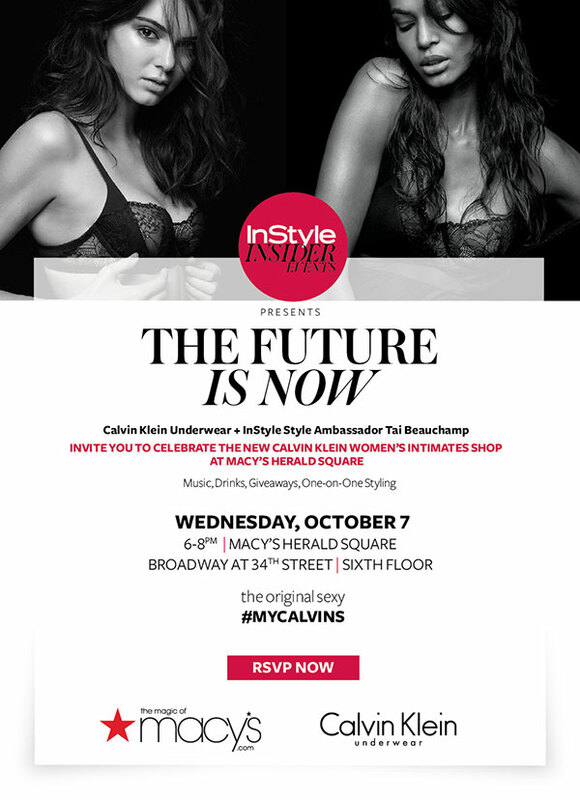 Calvin Klein and Instyle Ambassador Tai Beauchamp invite you to celebrate the new women’s intimate shop ay Macy’s Herald Square. Tags: calvin klein, drinks, Fashion, Free NYC, instyle, Macys, Music. Bookmark the permalink.